RocDuMaroc & many small charity projects are working together for the health of children. Thanks to a special fund raising campaign by our partner first partner Moozes Bikes & Fashion, in 2012 the participants and the organisers of Togo Jungle Challenge collected an impressive amount of 15000€, in 2013 33000€ , in 2014 44000€, in 2015 42000€ and in 2016 13000€ for the SOS Children’s Villages of Kara in Togo. 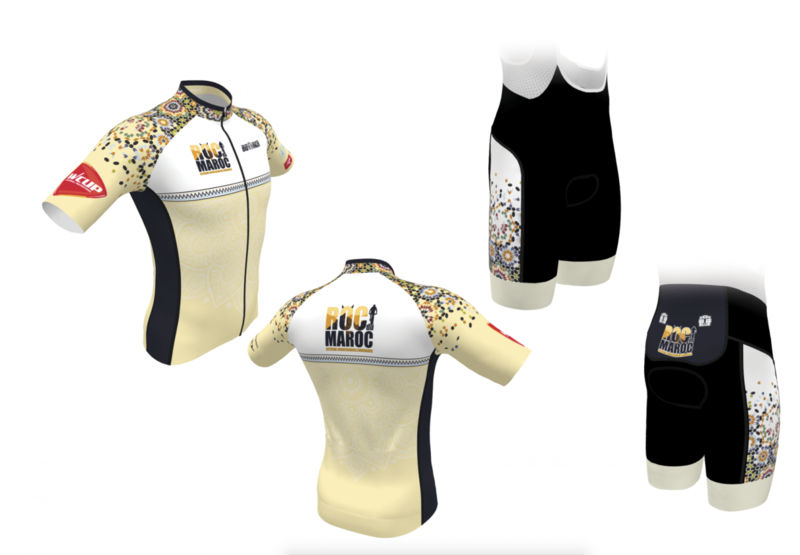 Participants were able to buy a Togo Jungle Challenge cycling outfit through Moozes, personalised with their own inscriptions or logos. The yield was placed directly into the bank account of the SOS Children’s Villages. The entire amount was officially donated to the director of SOS Children’s Villages of Benin at the closing ceremony in Grand Popo and all of the donations will be used to fund the vaccination program. Cycling is healthy, but to be able to do something for the health of many children, makes it even more special and rewarding for everyone involved. Therefore, Togo Jungle Challenge en RocDuMaroc lwants to work together with all participants and raise funds for SOS Children’s Villages in Togo. With your support we can secure a future for those who are unable to help themselves. Children need our help every day – people in need cannot wait until tomorrow. Together with our new partner Bioracer Speedwear, we have decided to design an exclusieve RocDuMaroc Cycling outfit. Every particpant can order a shirt or a short or both on the special RocDuMaroc webshop. The total profit will be donated to one of our charity projects. The payment of the shorts must be made directly to bioracer. If you would like some more information, do not hesitate to contact us about this!